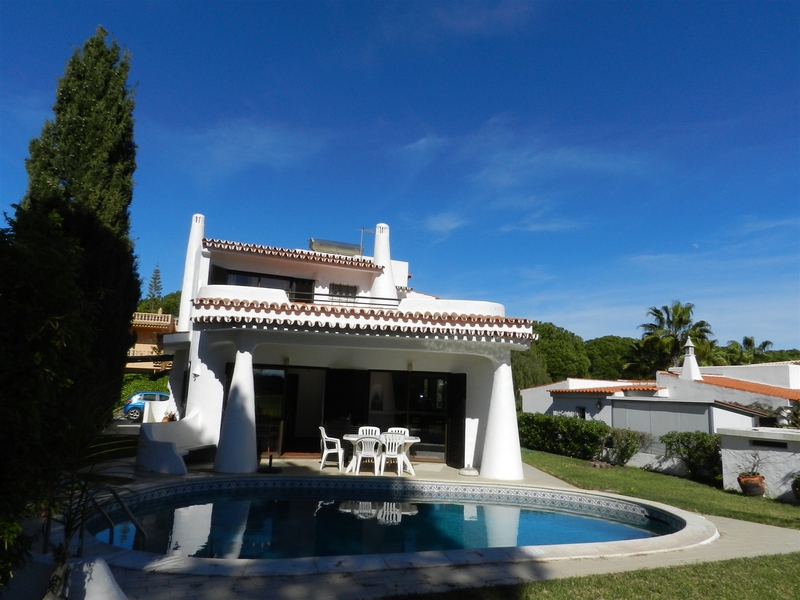 Frontline Golf villa with 3 +1 Bedrooms and 3 Bathrooms set in a prime location leading onto the Pinhal Golf course and walking distance to the Old Village and the Hotel Hilton. 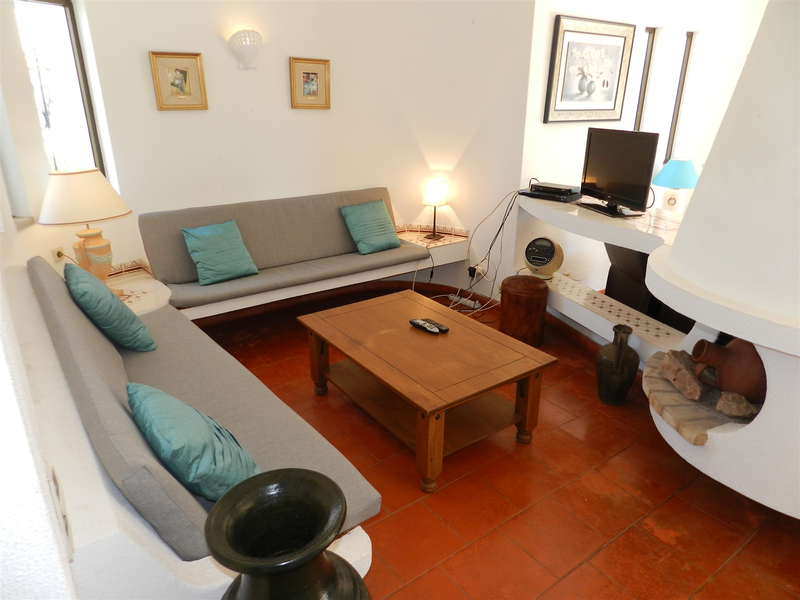 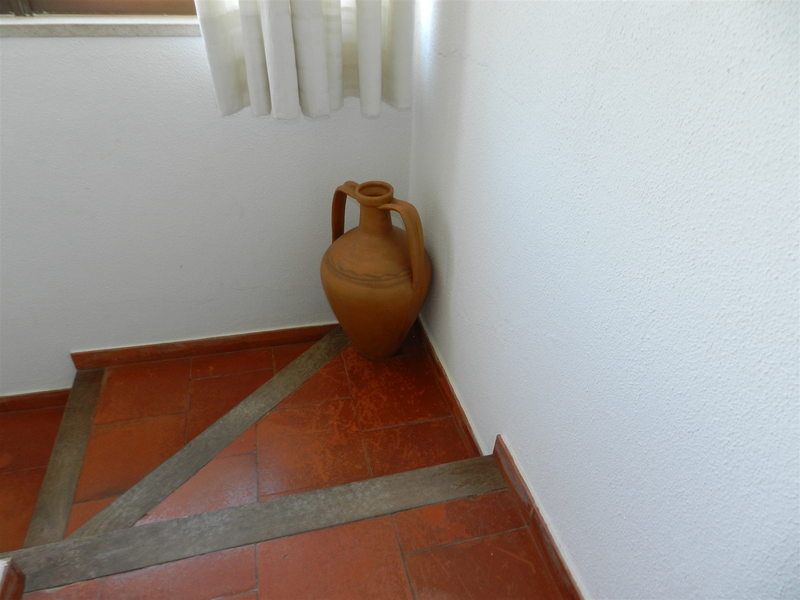 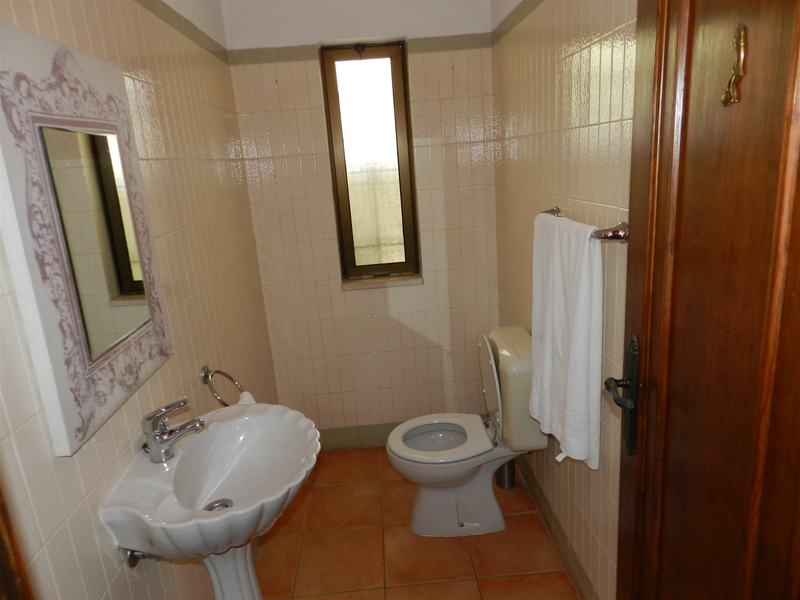 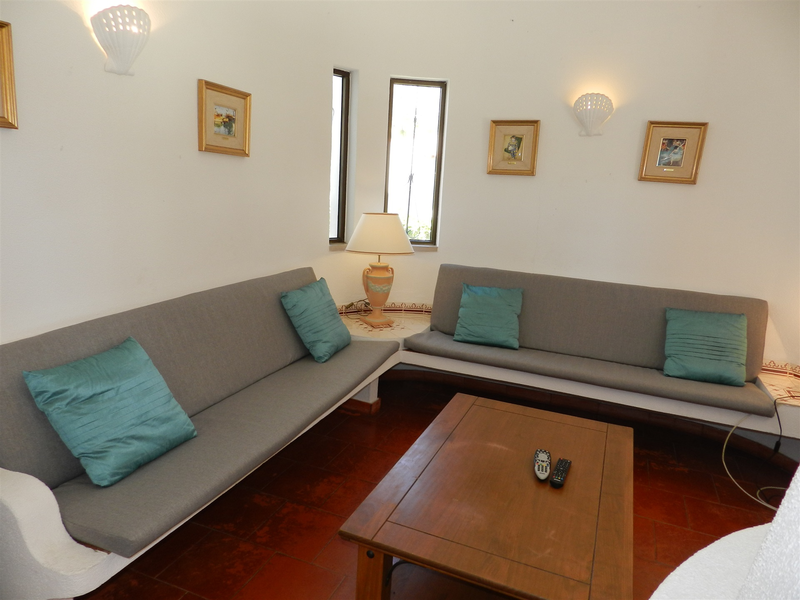 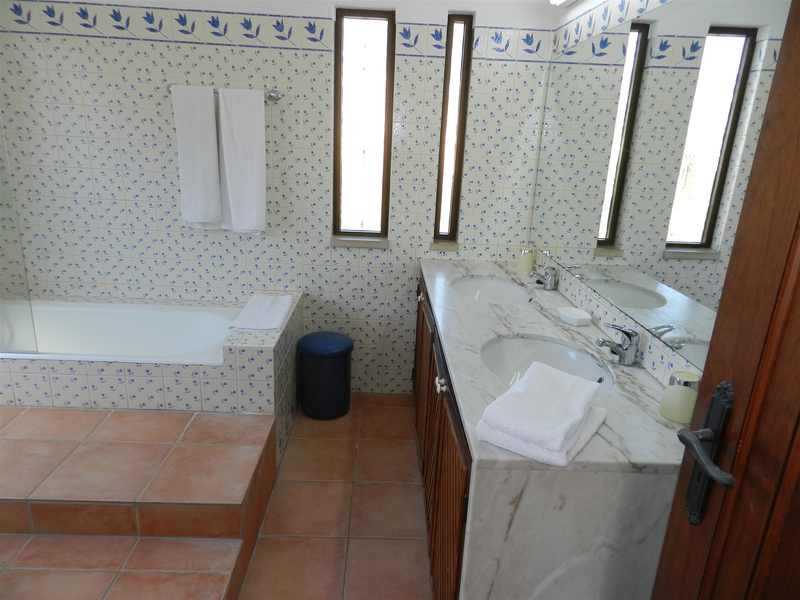 This villa offers a unique opportunity to stay in a traditional lovely Portuguese style villa. 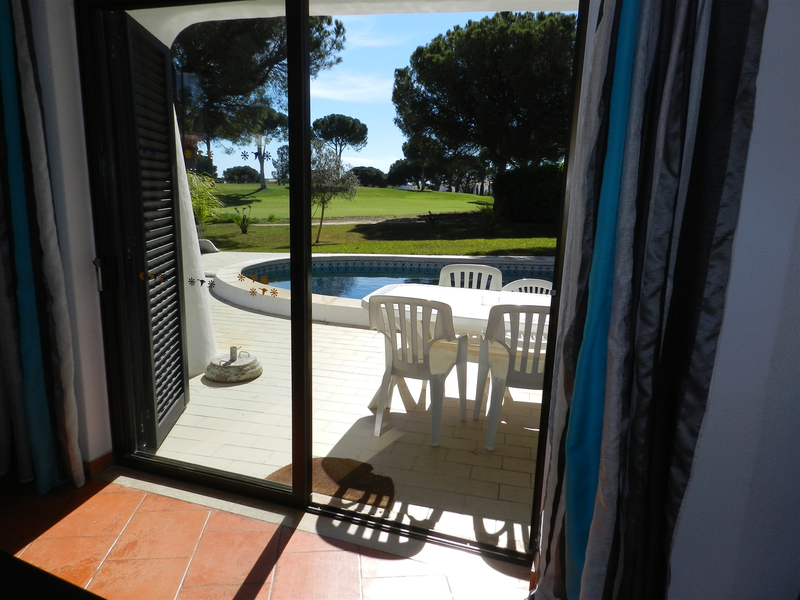 The beautiful view provides an exquisite backdrop for the private garden and kidney-shaped pool which is set beside a spacious covered terrace with garden furnishings, an ideal place for a relaxing holiday. 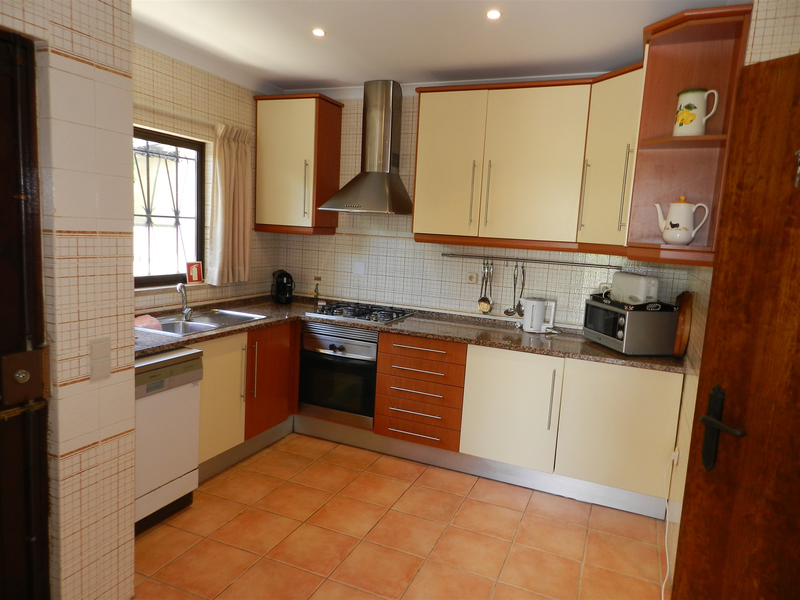 •	Fully equipped kitchen with dishwasher, microwave, toaster, fridge / freezer. 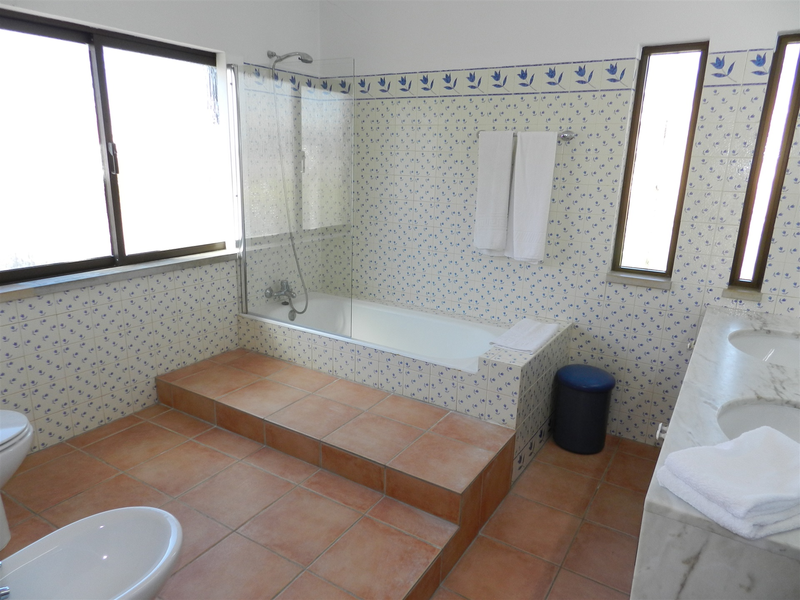 It has direct access to the built in BBQ area and utility area outside where the washing machine is housed. 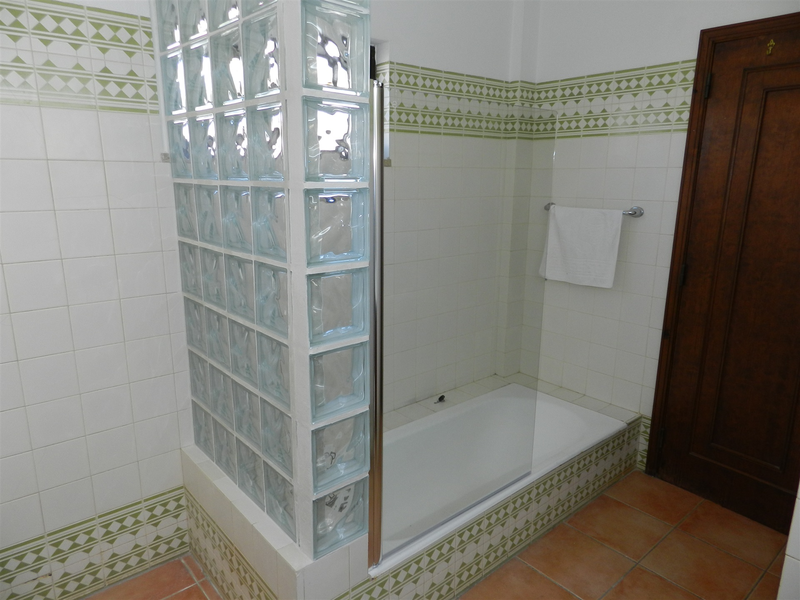 Also has a pantry. 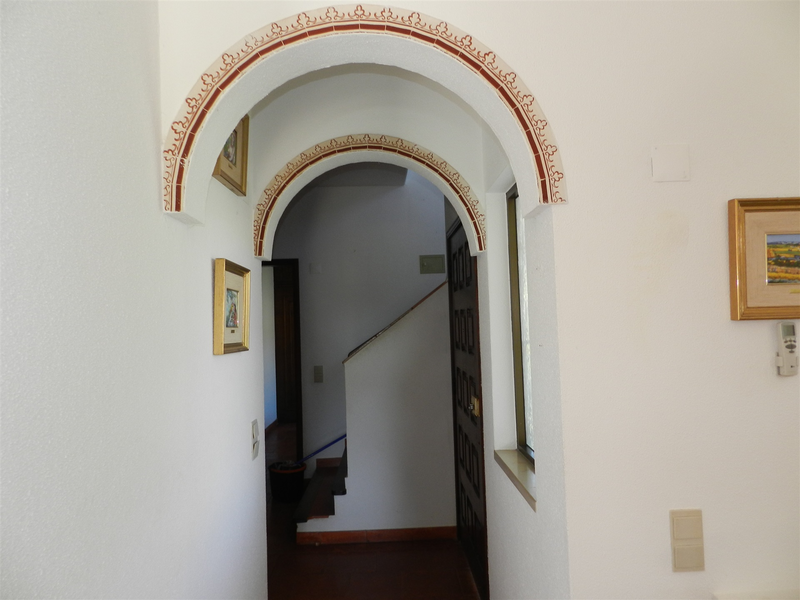 •	Top of stairs door leading to large terrace. 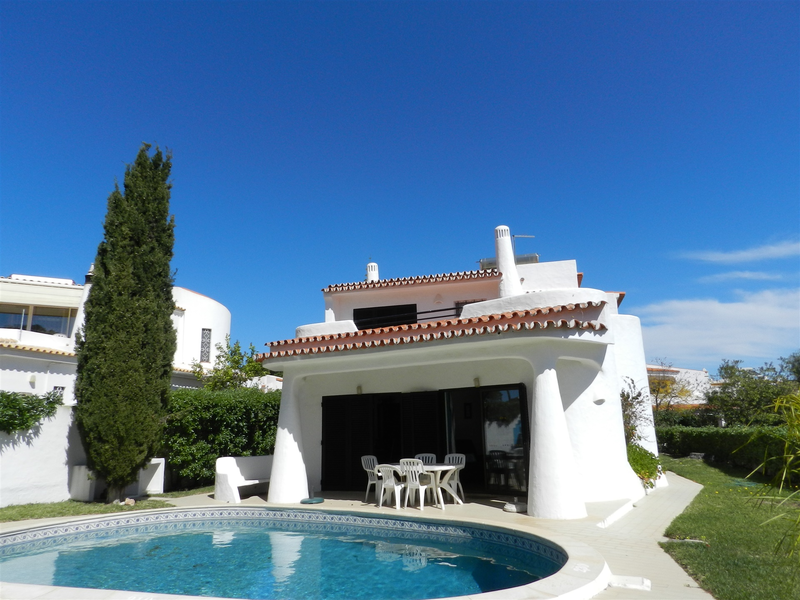 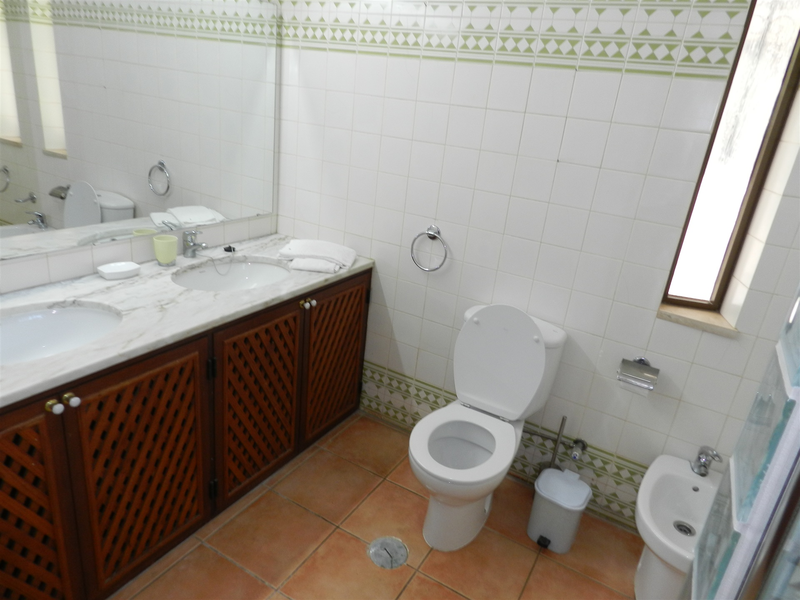 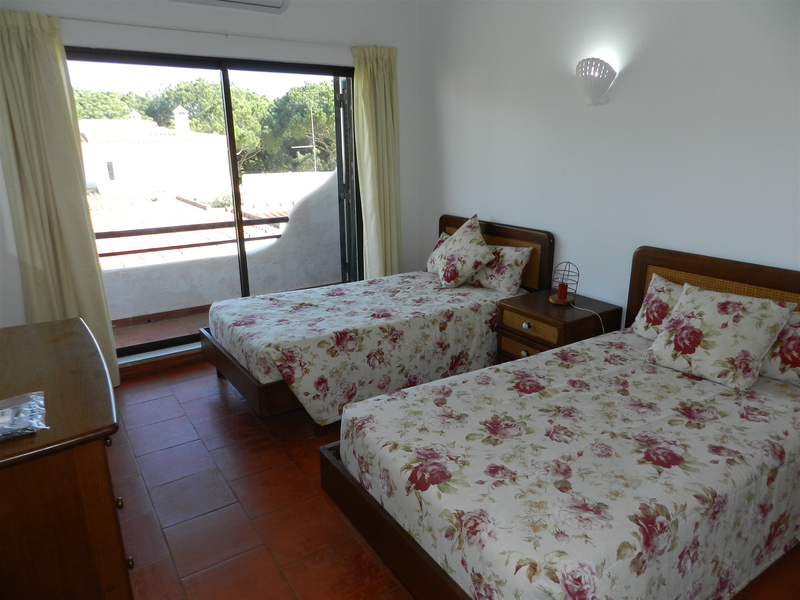 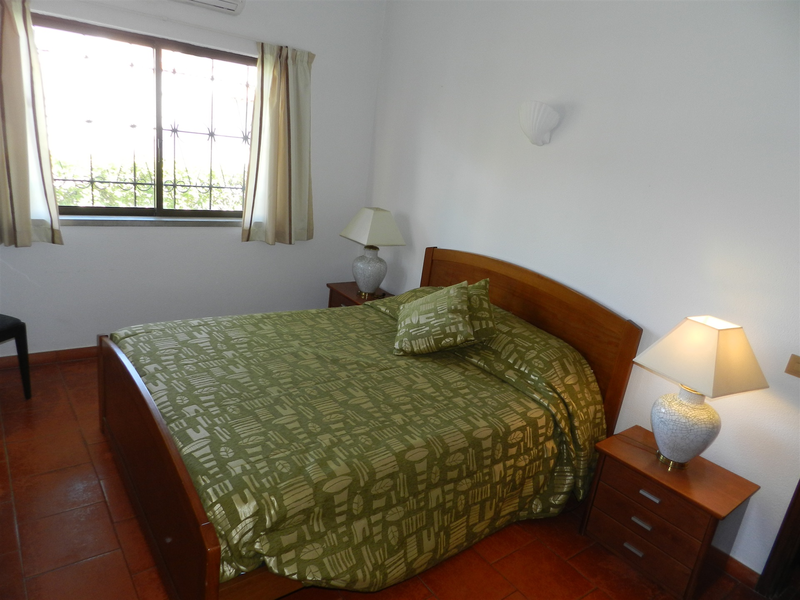 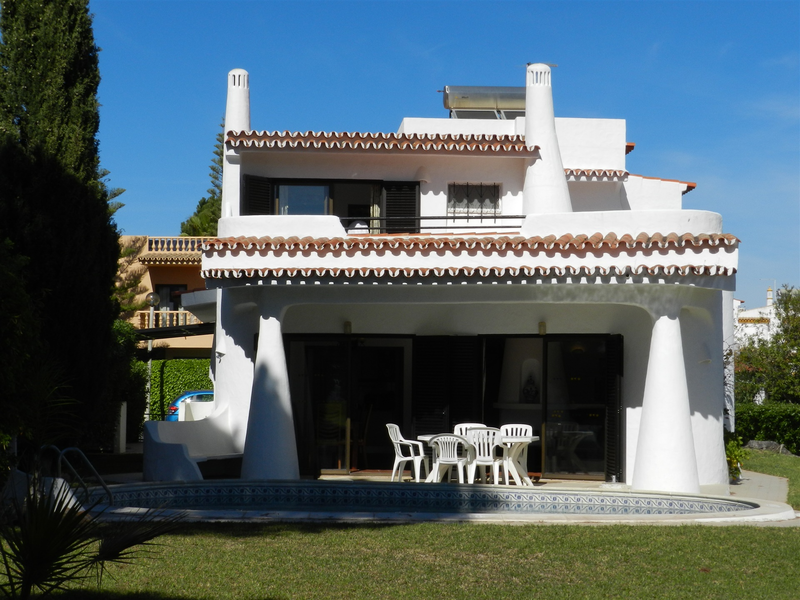 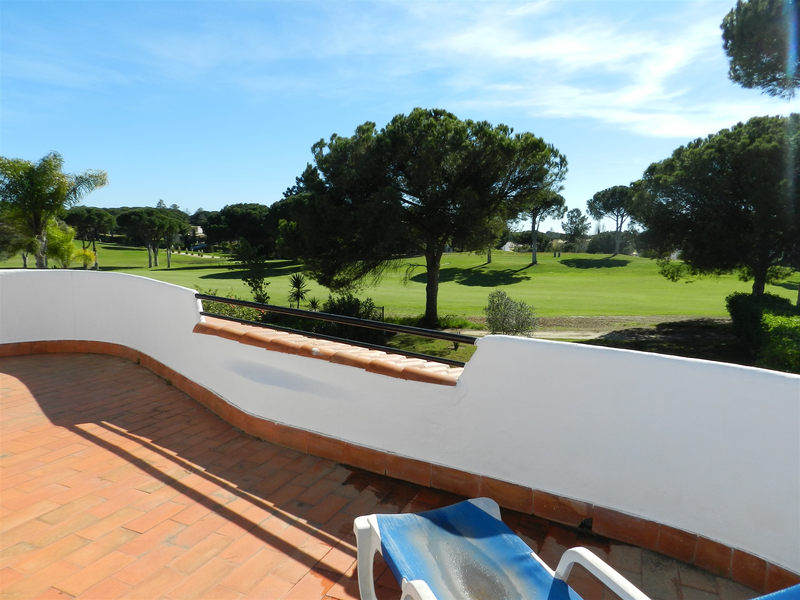 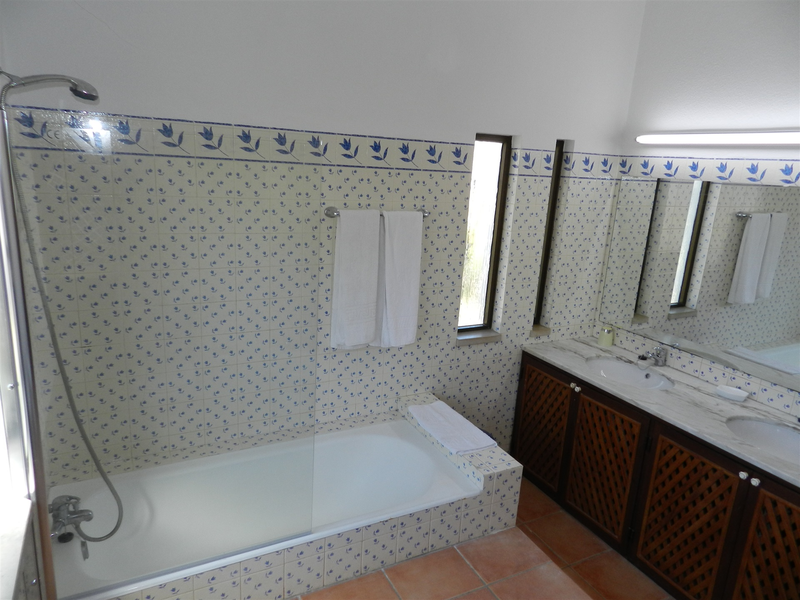 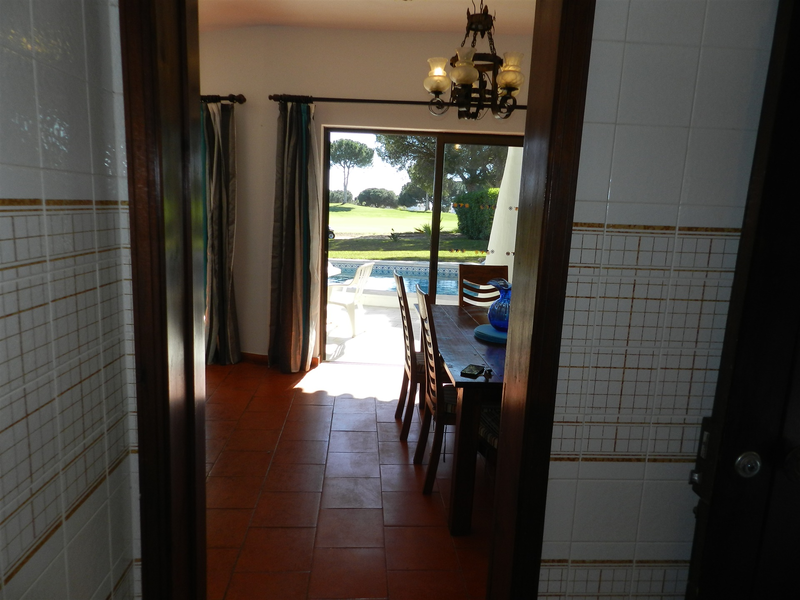 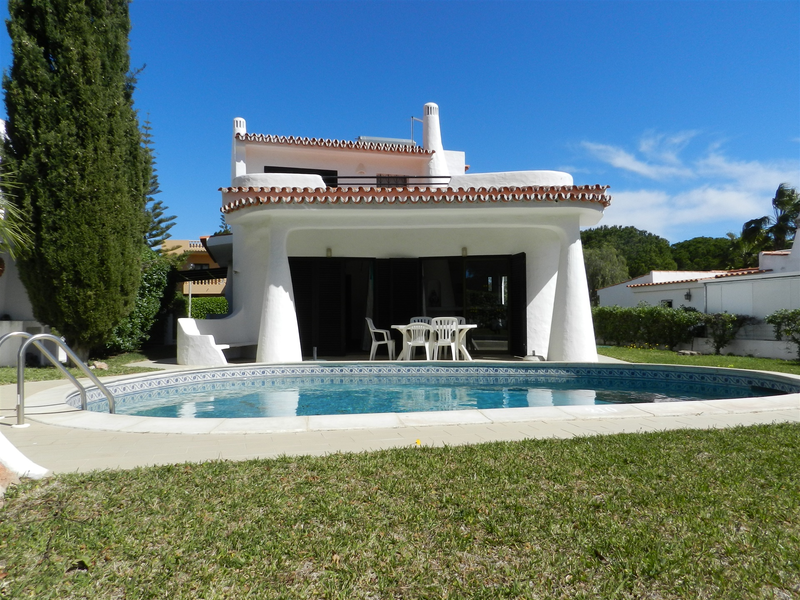 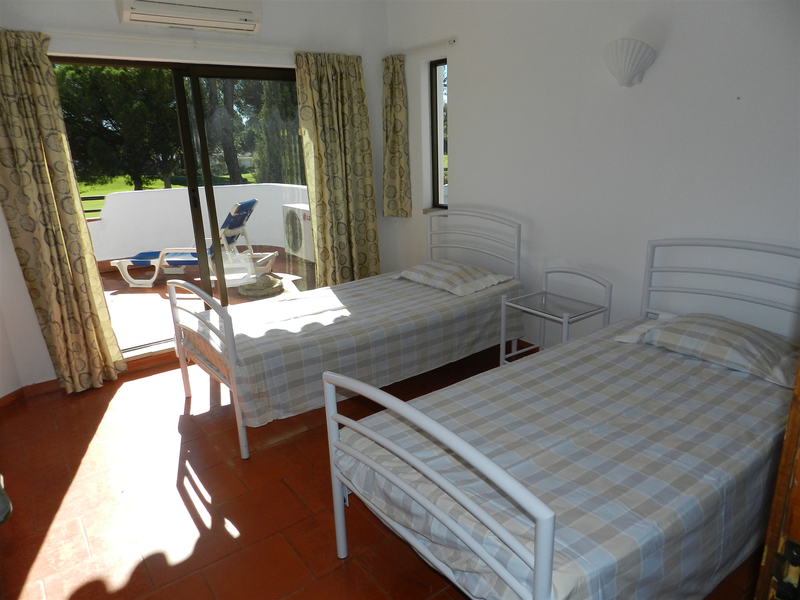 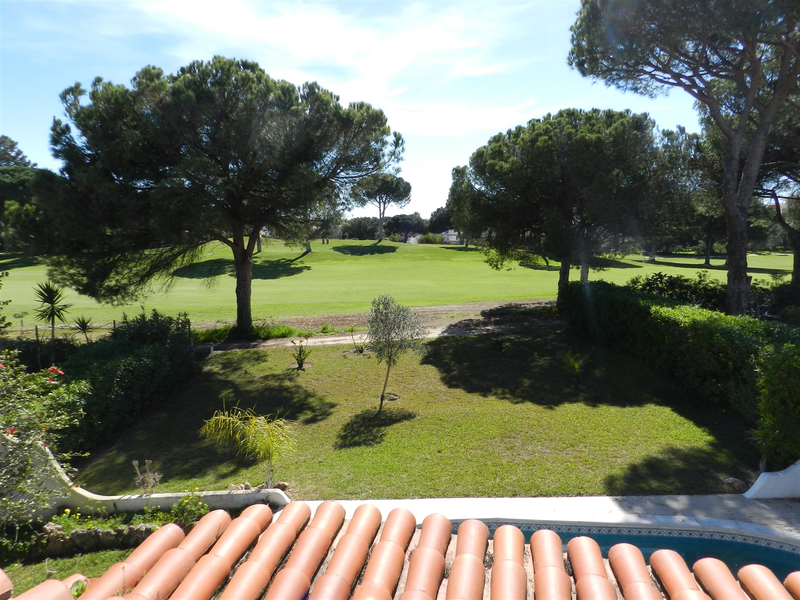 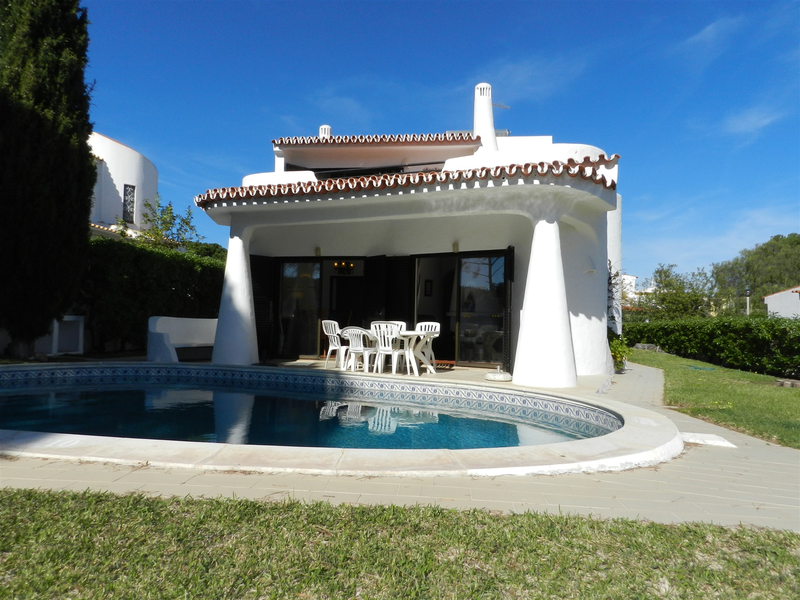 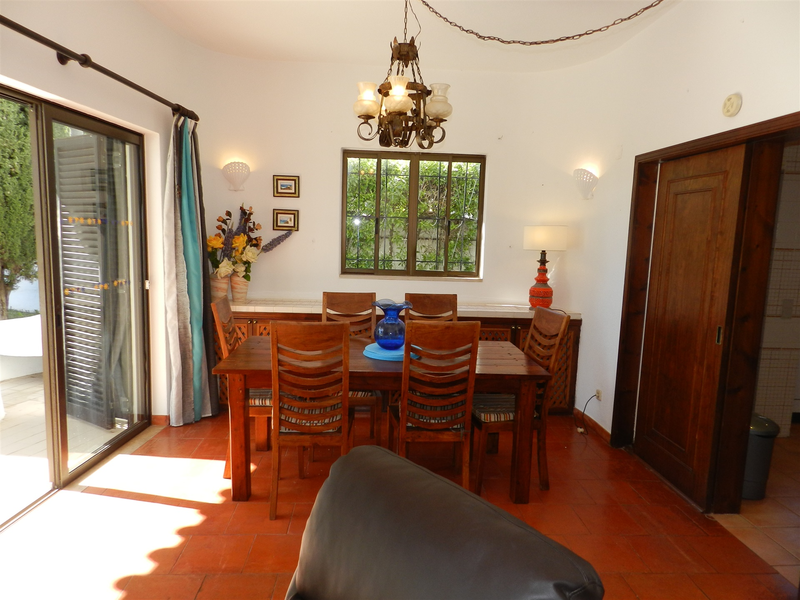 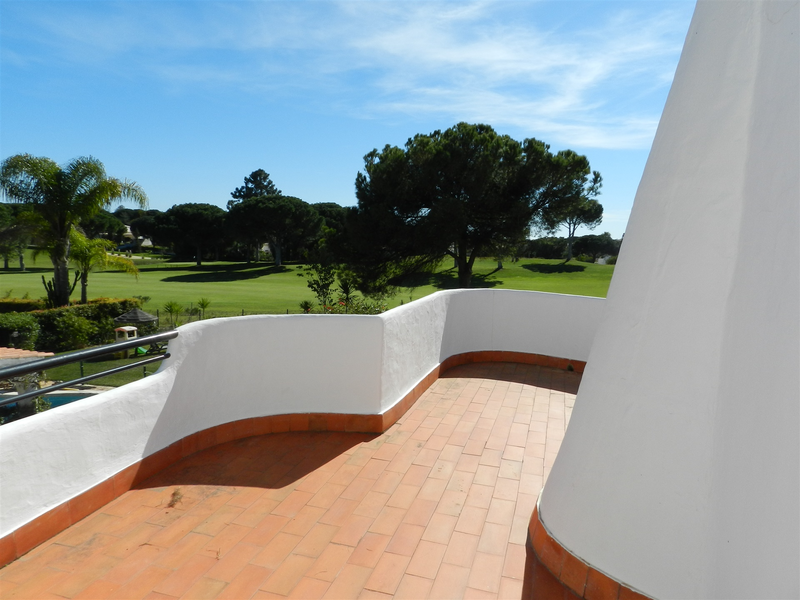 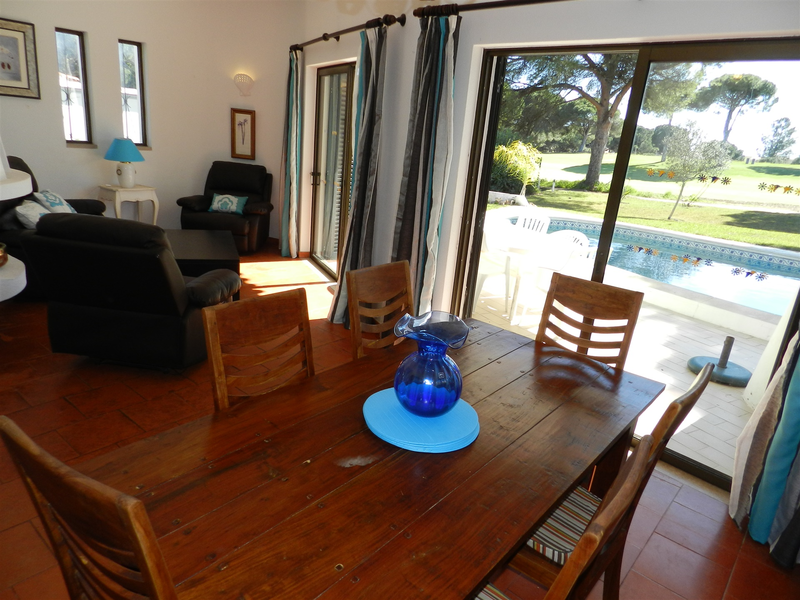 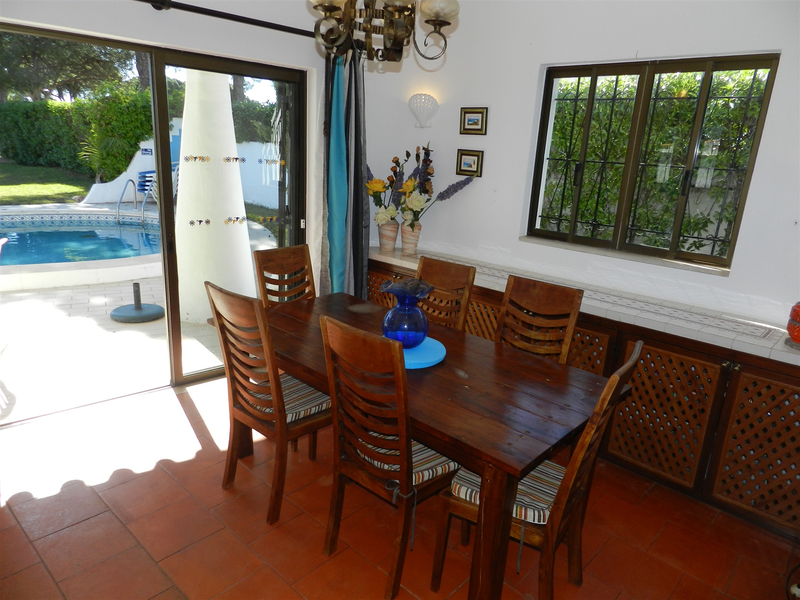 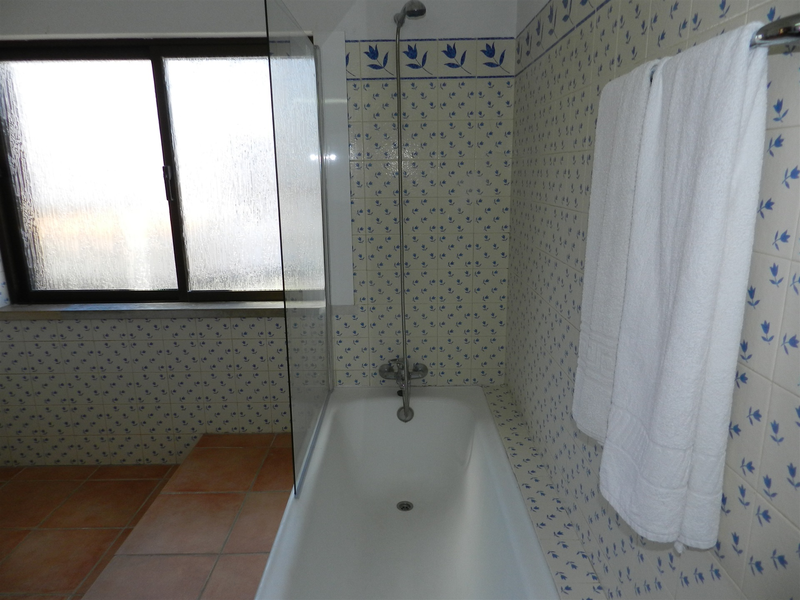 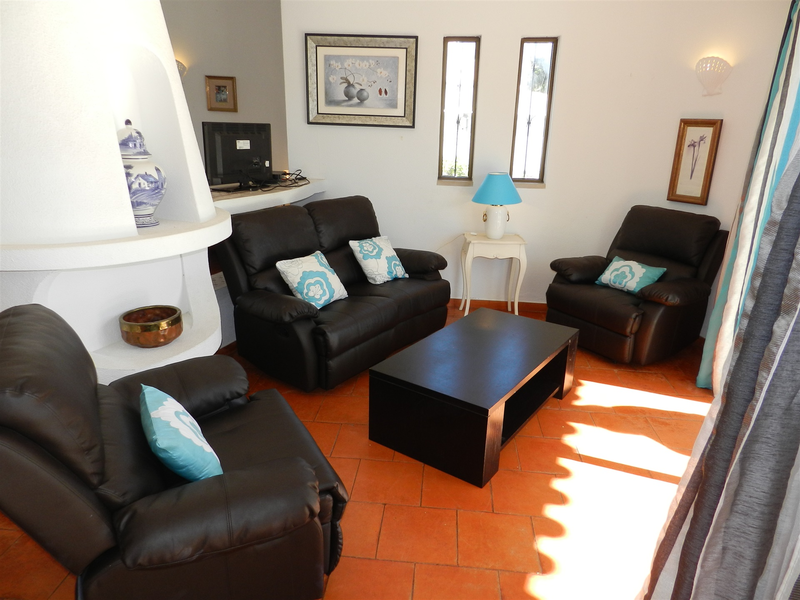 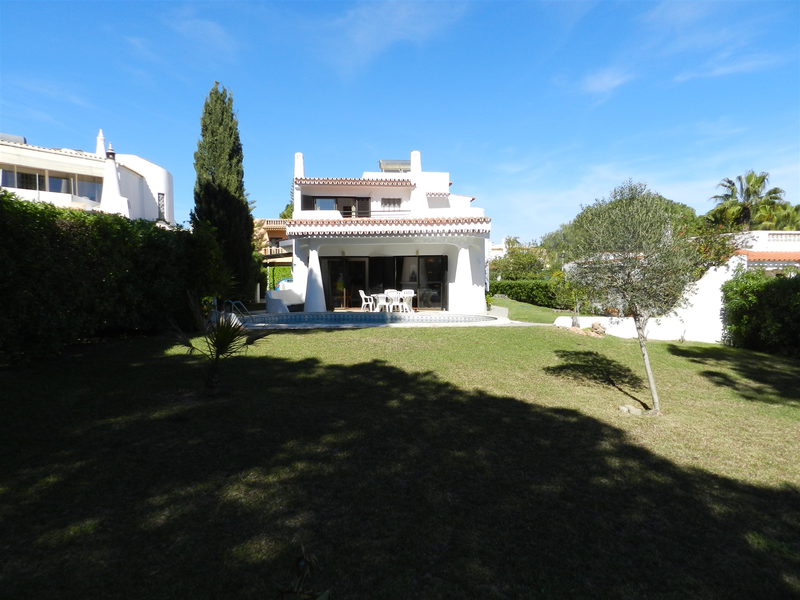 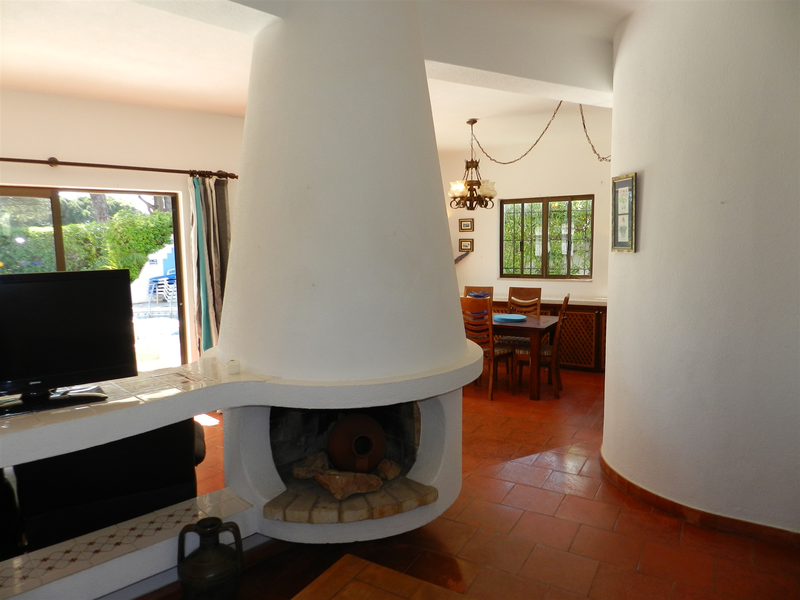 With magnificent views of Pinhal Golf Course. 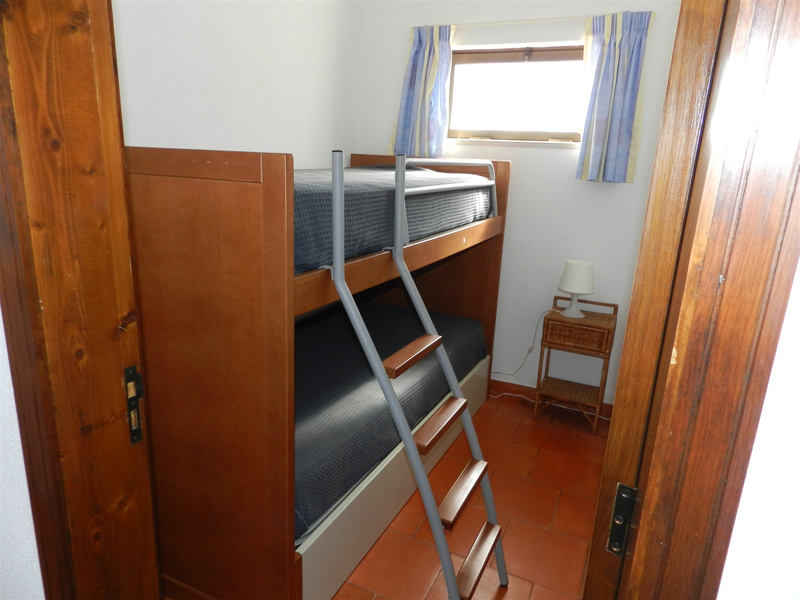 •	Bedroom 2 – (small children’s room with bunk beds).